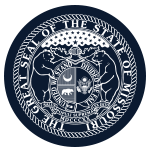 Mission: The Missouri State Board of Chiropractic Examiners is responsible for protecting the public from unlicensed, negligent, and incompetent treatment by a chiropractic physician. The Board enforces licensure standards by implementing legislation and administrative regulations, along with monitoring changes within the profession. Function: Applications are reviewed by the board to insure a chiropractic physician is qualified, through education and examination, to provide treatment to Missouri consumers. Complaints and corresponding investigations are reviewed by the board to insure chiropractic physician practice, legally, ethically, and competently.